What the blurb says: “The hunt for mass murderer Cara Lindstrom is over. FBI Special Agent Matthew Roarke has been working for this moment: the capture of a killer who savagely hunts the worst of humanity. But Roarke remains traumatized by his own near-death at the hands of the serial killer who slaughtered Cara’s family…and haunted by the enigmatic woman who saved his life. 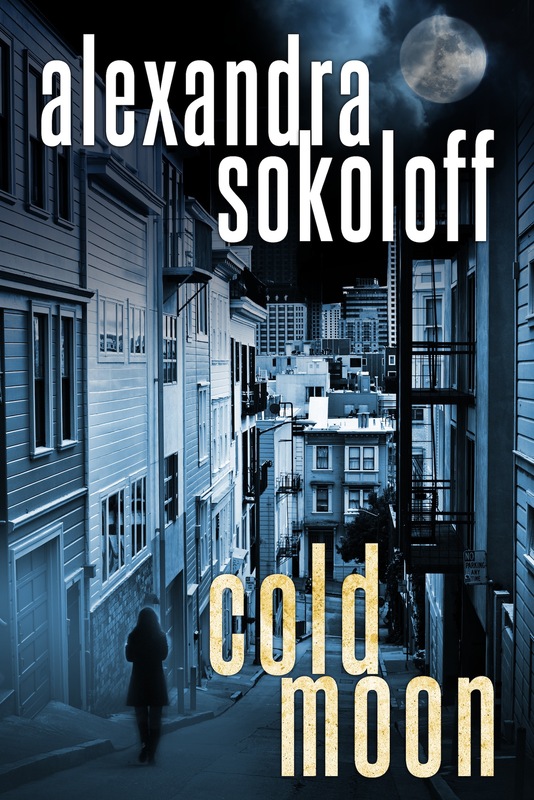 COLD MOON is the latest instalment in Alexandra Sokoloff’s fabulous The Huntress FBI series and it’s published today. This is a serial killer story with a difference – this killer is female. Driven by the need to confront ‘It’ – evil – Cara Lindstrom targets those in society who prey on the innocent and the helpless. The story starts with her awaiting trial for murder, but it soon becomes clear that she may not be the only person fighting back against those men who prey on vulnerable women. Detective Roarke – the man responsible for Cara being in jail – is conflicted about the upcoming trial. On the one side he knows Cara is a killer, on the other he is becoming increasingly sympathetic to her cause. And he cannot deny that he’s attracted to her either. As the trial gets closer, the media and bloggers pick up the story, igniting a growing group of protestors against Cara’s incarceration to take to the streets. Then some new evidence comes to light which changes everything. Set in California, COLD MOON shows the glamour and the grime, the privileged (and those who abuse that privilege) and the disadvantaged. It’s highly atmospheric, with compelling, dynamic characters and vivid, rapid-paced action. It also puts real issues front and centre – human trafficking, child prostitution, and corruption and abuse within the prison service – which makes for a gritty and thought provoking read. Like Jeff Lindsay’s DEXTER, Cara only kills those that have committed unspeakable crimes – and so although she is a serial killer, she’s a highly compelling character who I wanted to spend time with. With super-charged tension and nail biting suspense, this is a real page turner of a read. Highly recommended for all thriller lovers. 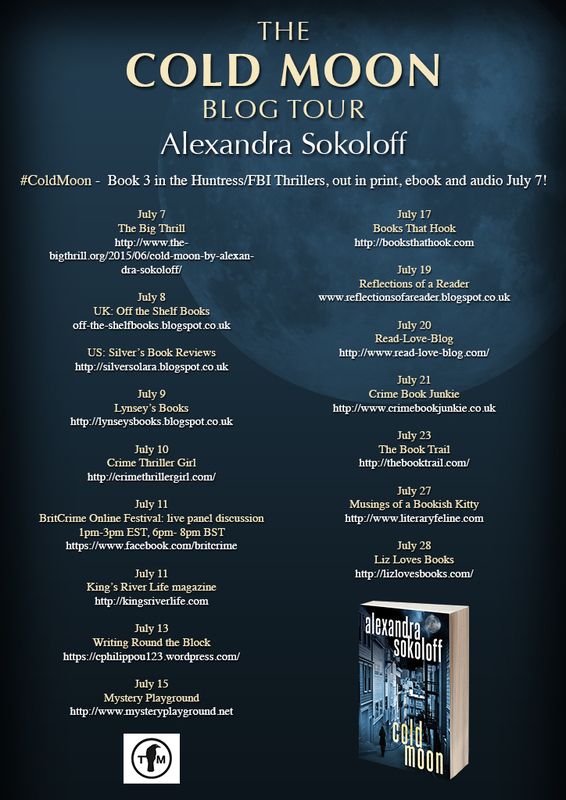 And be sure to stop by on Thursday 10th July when we’ll be hosting a tour stop on the COLD MOON blog tour in the form of an interview with Alexandra Sokoloff about her books and her writing process. Thanks, looks like a good addition to my summer reading list.